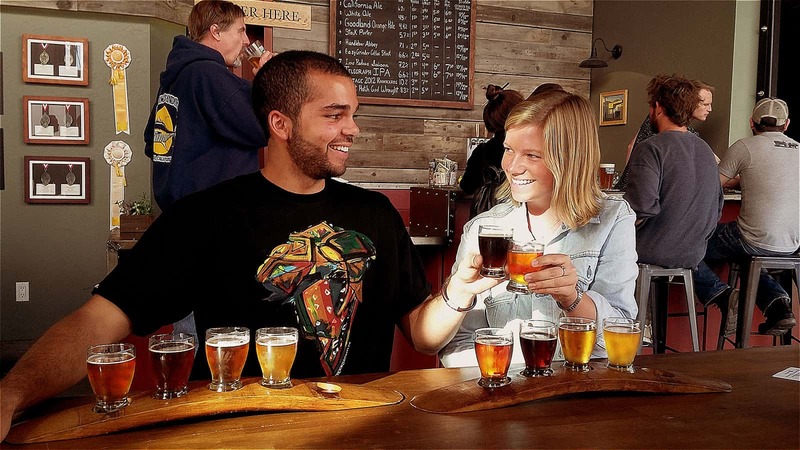 Knowledgable Guide - $50 worth of beer and wine tastings following the tour! Duration: 1.5 hours. After the 1.5 hour tour will be your chance to redeem your free tastings at your leisure! Start Times: 1pm Wednesday, Thursday. Friday. Saturday. Sunday* 3pm Wednesday, Thursday. Friday. Saturday. Sunday* *tour times are based off of when breweries and wineries are open. If your group requires a different tour time let us know and we’d be happy to try and make something work! $50 value in the wine and beer alone! Prepare for a ride through SB's drinking scene with a knowledgeable guide. And afterwards - 4 free tastings! Once at our shop our bike guides will outfit you with a multi-speed beach cruiser, 20 speed mountain bike, or 27 speed hybrid – whatever you’re most comfortable on. Following the bike tour of Santa Barbara’s wine and beer tasting scene your guide will gift you with free tasting cards to multiple wineries and breweries for you to cash in on while you’re in Santa Barbara. This is a group tour. However, it is likely that you'll have a private tour if you're the only ones to sign up. If you prefer a private tour please call!